Collect or cover up any spills with soil to prevent consumption by birds, mammals, and other wildlife. DO NOT allow treated seed to enter the food or feed chain. Treated seed is not to be used for food, feed or oil processing, and care must be taken to not contaminate grain going into the food or feed market. There is ZERO tolerance for treated seed in the export market, meaning that a single seed could result in the rejection of an entire load. The best and most preferred option to dispose of leftover treated seed is to plant it on fallow ground or an unused parcel of land. 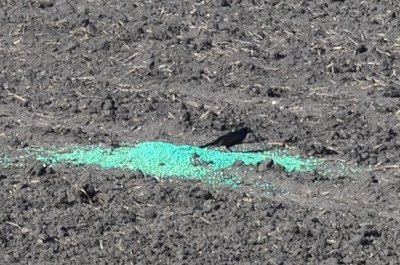 Depending on the seed treatment, there may be restrictions on planting rate and depth. 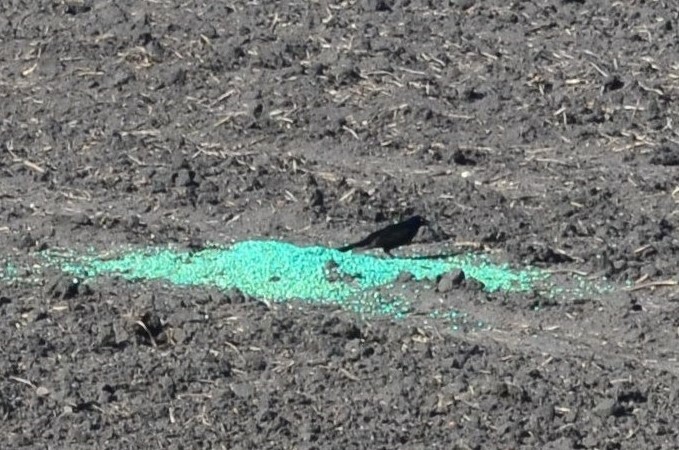 Seeding for wildlife habitat is also a possibility when allowed on the seed bag label. Seed burial may be allowed (be sure to check the seed bag label), although care must be taken avoid burial next to water sources. Take care of any spills: Take care to clean up or cover up any spills with soil as some products can be hazardous to birds and other wildlife, or may be toxic to fish and aquatic invertebrates. This also helps minimize exposure to people, particularly children. Other potential options include disposal in an approved municipal landfill, use as a fuel source for a power plant or kiln, or incineration by a waste management facility. NEVER compost treated seed and NEVER burn treated seed in a stove that is used in the home, farm shop, etc. For more information, including details about personal proactive equipment (PPE) to wear when handling treated seed, check out the U of MN fact sheet on this topic at: http://z.umn.edu/shtseed.